A labor of culinary love is evident from beginning to end in this thorough and inspiring collection of recipes written by Davis, a professor of food studies at New York University and on staff at the James Beard Foundation. Chapters are arranged by subject (such as "Grains," "Poultry," and "Meat") and include enticing and well-explained dishes that run the gourmet gamut from American comfort foods such as Macaroni and Cheese to ethnic fare such as Shu Mai and Pastitsio. Baked goods include Scones, Eggplant Focaccia, and Lavender Cookies. 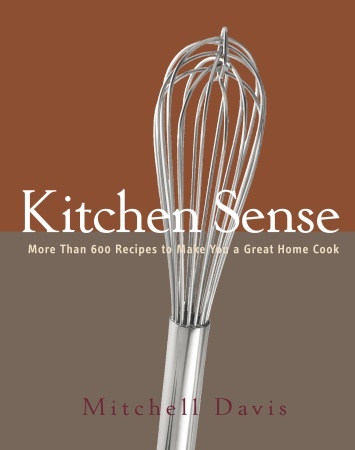 Useful features include "Kitchen Sense" (concise highlighted boxes covering such topics as party planning, ingredient measuring, and artichoke trimming); advance prep and leftover tips, which accompany recipes; and an enlightening section on how to read recipes. Even with the noticeable absence of illustrations, this is a timeless and solid collection cooks of all levels will want within easy reach in the kitchen.